About Varsity Scoring Tables >> THE Scorer's Table People! > Home of the Lifetime Warranty! > Leader In The Industry for 27 Years! 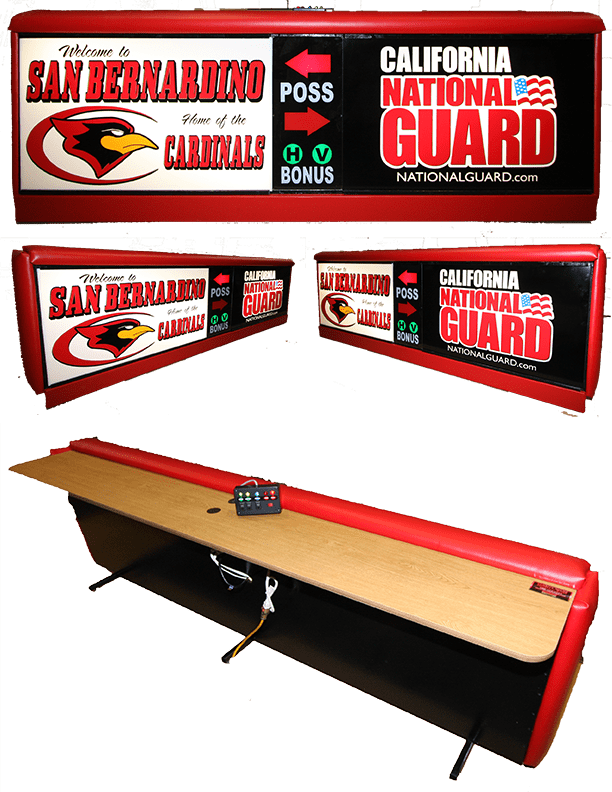 One of America's largest scoring table manufacturers. We guarantee the lowest prices in the industry! You will typically save 33% or more buying factory-direct from Varsity Scoring tables. We are unique because we manufacture our products from start to finish, and we also sell directly from our factory to you at wholesale prices. By eliminating the local salesperson’s commission, we are able to pass the entire scoringtable savings along to you, without sacrificing quality or service. This factory-direct (no middleman) sales approach allows us to offer our scoring tables at greatly reduced prices. We’ll beat any competitor’s price given the chance guaranteed. Varsity Scoring Tables guarantees the lowest prices in the industry – you’ll save 33% or more buying factory-direct! You may ask how our prices can be so low. It’s very straightforward: we manufacture our own products at the highest standards, and we sell directly from our factory to you. No middleman means more savings for your organization! Since Varsity Scoring Tables offers the lowest pricing, does this mean the quality will be lower? Absolutely not! Varsity’s state-of-the-art scoring Tables are constructed of heavy-duty products to ensure maximum strength, durability and lasting appearance – guaranteed to look great year after year! Plus, our scoring tables feature super-bright displays that require no maintenance and last over 100,000 hours of continual use. Our scoreboards are also backed with the BEST warranty in the business – LIFETIME on all models. Varsity Scoring Tables has the quickest lead time in the industry – most Scoring Tables leave our factory in less than 10 days from proof of art. We have been at this for over 27 years. Dare we say The Original Scoring Table Makers? Toll-free phone lines are available. Friendly, knowledgeable representatives are always available should you ever need them. Ordering from Varsity Scoring Tables is guaranteed to be an easy, convenient process. We’re the only major scoring table manufacturer with a lifetime warranty on the whole unit. You will speak with one of our friendly, knowledgeable sales representatives in a professional, no-pressure environment. Plus, we respond quickly by providing same-day electronic scoring table quotations and same-day online scoring table artwork layouts.